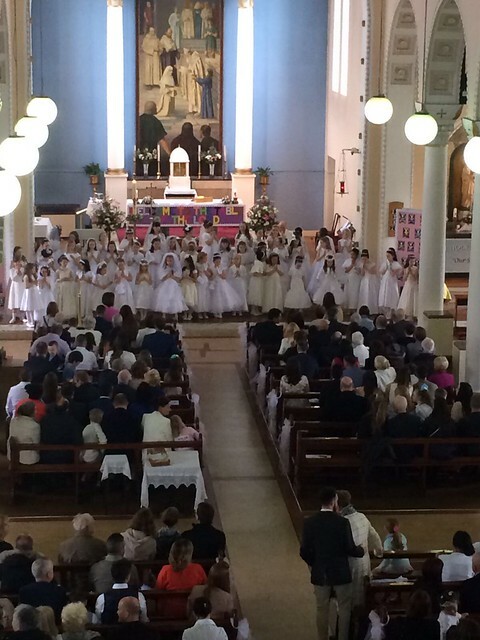 The girls from 2nd class celebrated their First Holy Communion in St.Brigid's parish Church on a lovely sunny day last Saturday 6th May. The girls looked beautiful in their dresses. They were a credit to their parents and teachers. The girls from 3rd class sang beautifully on the day. Our parent's Association organised tea and refreshments in the resource Centre afterwards. The school acknowledges the work of all those involved in preparing the girls for this big day - parents, teachers SNAs and Noel. Thank you also to Fr.Liam who celebrated the Mass.